Living an active life plays a key role in treating respiratory diseases like COPD. It is important to get regular exercise and do the things you truly enjoy. However, living within the constraints of oxygen tanks can limit or even prevent you from doing so. 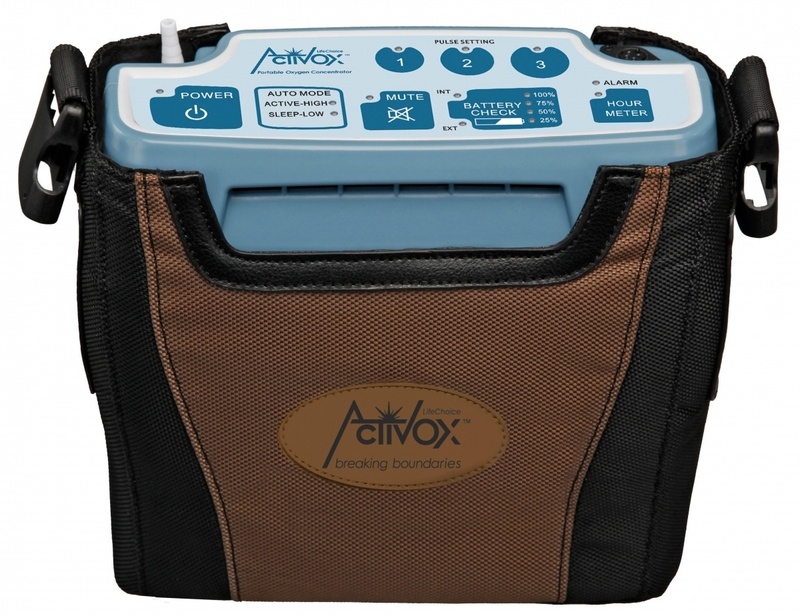 The LifeChoice Activox Sport portable oxygen concentrator is your ticket to an active and enjoyable lifestyle. 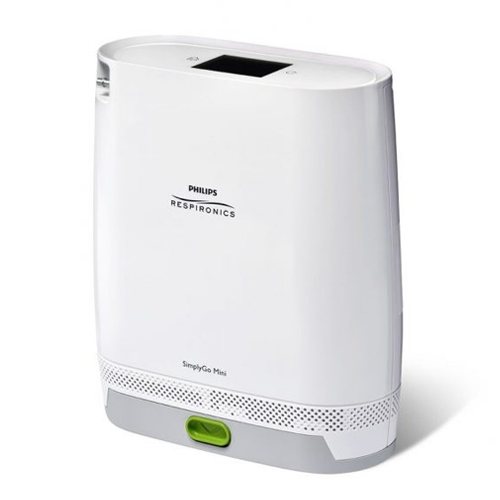 One thing that sets the LifeChoice Activox Sport apart from other portable oxygen concentrators is how light it actually is. 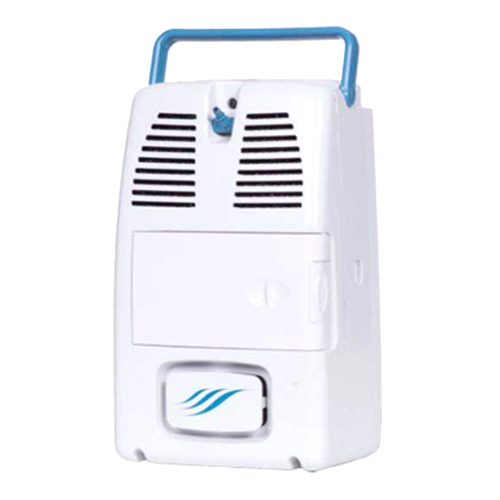 Weighing in at 3.9 pounds, it is the lightest portable oxygen concentrator to offer multiple pulse flow settings. The 4-way custom carrying case that is included with the Activox Sport makes it as easy and as comfortable as possible for you to carry the unit around. It’s a 4-way carrying case because it can be carried 4 different ways; over your shoulder, around your waist, like a backpack, or as a briefcase. To help make life easier, the LifeChoice Activox Sport has a large control panel with oversized buttons and LED indicators. 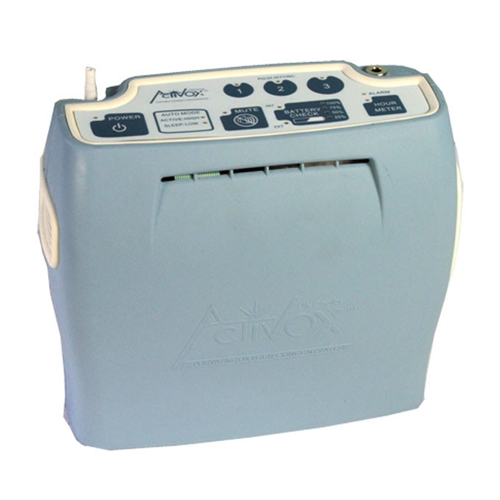 Operating the Activox Sport is as easy as pushing a couple of buttons. 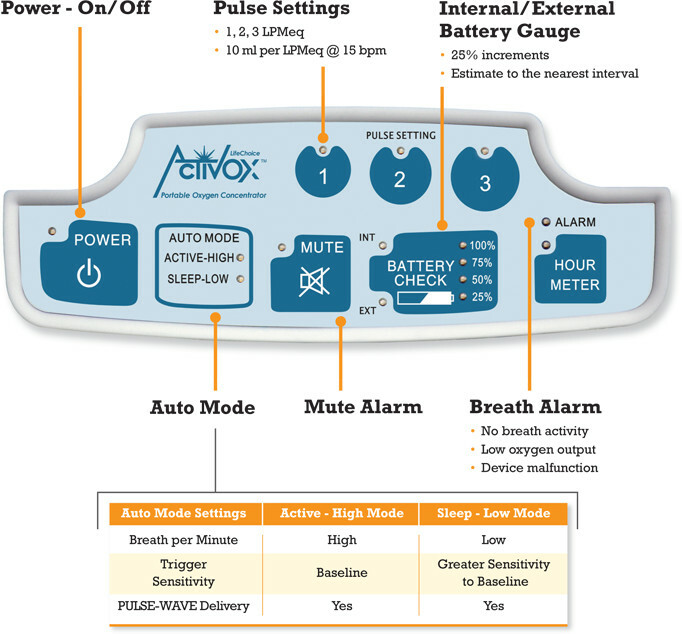 Simply push the power button to turn the Activox Sport on and select your required flow rate and you are ready to go! The LifeChoice Activox Sport is also equipped with sleep mode technology which increases the machines sensitivity to detect your breath. Whether you unexpectedly fall asleep or are going to sleep for the night, the Activox Sport will automatically adjust to your breathing rate. Once your breathing rate begins to slow, the Activox Sport will switch from active mode to sleep mode on its own. 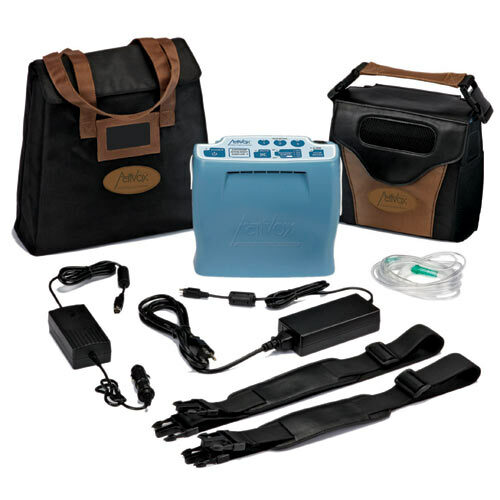 When purchasing a portable oxygen concentrator, it is important that you find one that meets the majority of your lifestyle needs. 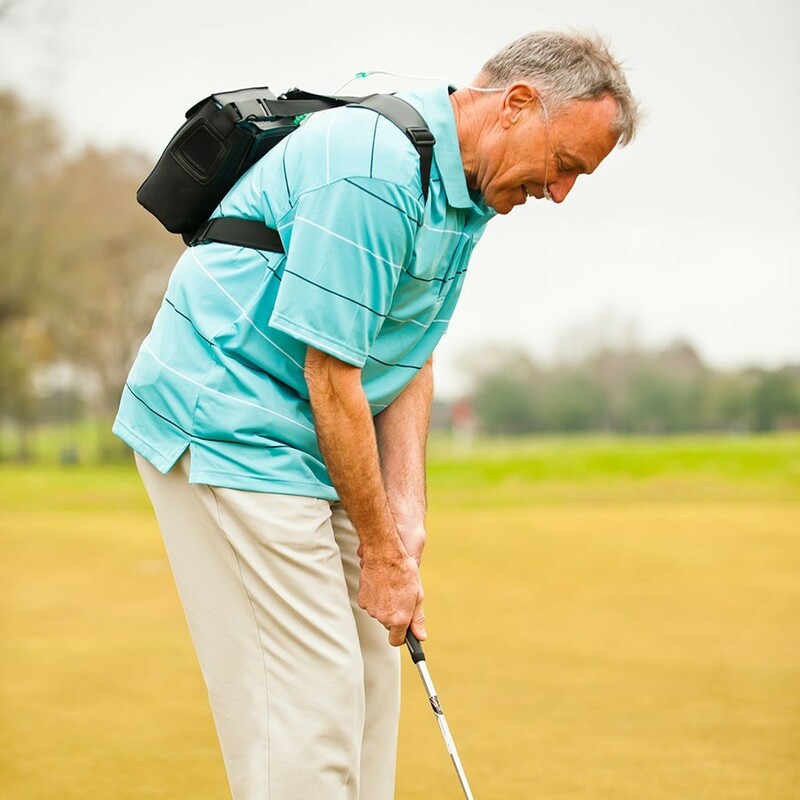 Whether you are looking for a portable oxygen concentrator for traveling, everyday use, or exercise, the LifeChoice Activox Sport has you covered. 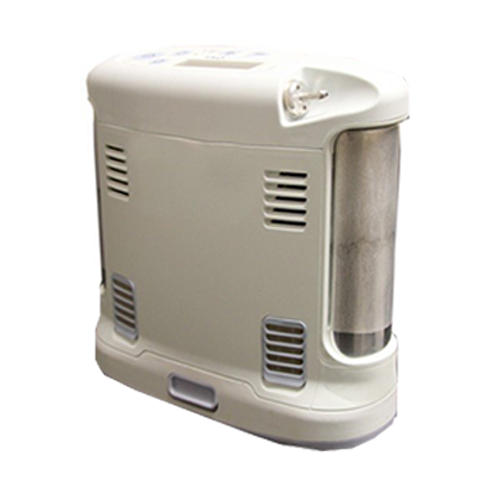 Traveling and exercise are simplified with the 3.9 pound oxygen concentrator. It offers two hands-free carrying options allowing you to get a full workout in or have two hands free for whatever comes your way on vacation. The Activox Sport is also capable of being used 24/7, even while you are sleeping thanks to the sleep mode technology mentioned above. 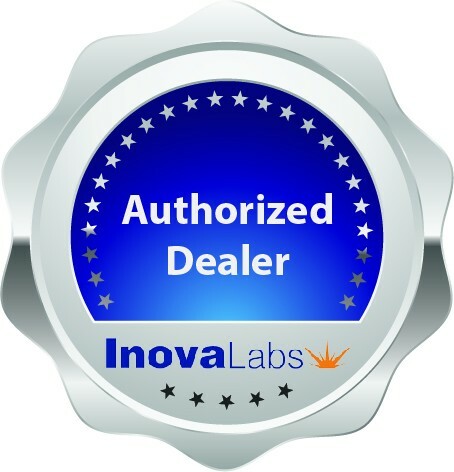 The LifeChoice Activox Sport comes with both an AC power supply and a DC power supply. 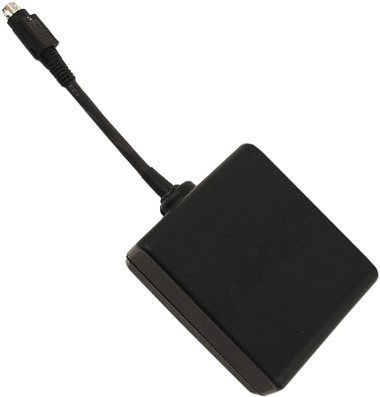 Regardless of which power supply you need to use, the LifeChoice Activox Sport will be fully functional allowing you to use all 3 flow rates and the sleep mode technology without any issues. Not only will the Activox Sport be fully functional, but the internal battery will recharge as well. The lightweight Activox Sport is capable of running off of battery power and via a power supply. It is equipped with a long lasting internal battery that offers up to 4 hours of battery life on a setting of 2. The optional external battery can supply up to 3 hours of additional battery life to ensure you make it through the day without any hiccups. One of the many luxuries the LifeChoice Activox Sport has to offer is that it’s virtually maintenance free. You won’t have to spend time rinsing and drying inlet filters or spend money on replacement filters. 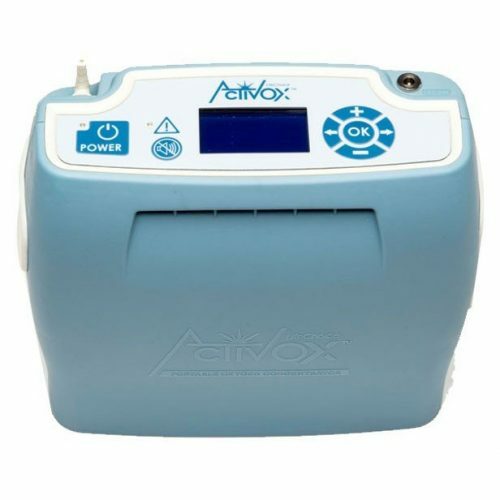 You simply have to take a Q-tip and wipe the vents of the inlet filter about once every week depending on how often you use your Activox Sport.